So every year when school starts I promise myself this year will be different....I will meal prep on weekends, I will make lunches the night before, I will ready the coffee for morning.......riiiight. That usually lasts until October! So here I am in October starting a series on 'Healthy Food Kids will Love', basically so I have to stick to it for my kids! 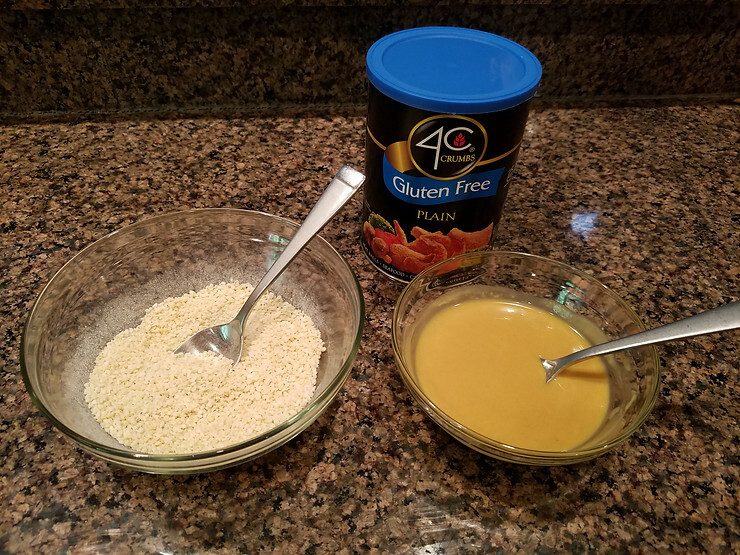 Generally foods that are easy to grab are not a great choice, so I've been on a mission to find healthy recipes that aren't so hard to make and that my kids actually love. These gluten free baked chicken nuggets with homemade honey mustard were a huge success! 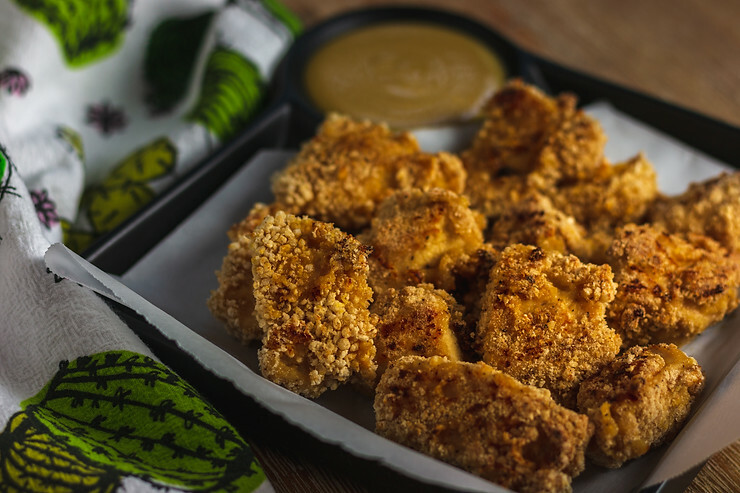 *I had to double this recipe for my kids and also made extra Honey Mustard for dipping sauce as the amount called for is only for the nuggets! 1. Preheat oven to 375 degrees. Spray a baking sheet with nonstick spray. Personally, I cook almost everything with parchment paper on top of the baking sheet.....hello easy dishes! 2. Mix breadcrumbs with seasoning. 3. In a separate bowl mix honey and mustard. 4. Toss chicken in mustard mixture to coat, and then remove them individually, shaking off excess mixture. Now dunk them in the breadcrumbs, coating them completely. 5. 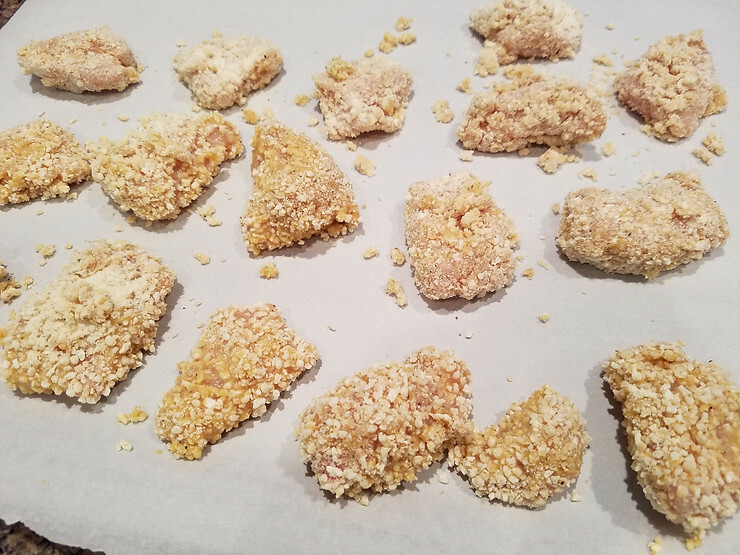 Evenly place nuggets on the baking sheet and bake for about 8 minutes, then flip and bake another 8-10 minutes. Keep in mind, gluten free breadcrumbs won't be super golden, that's completely normal! 6. 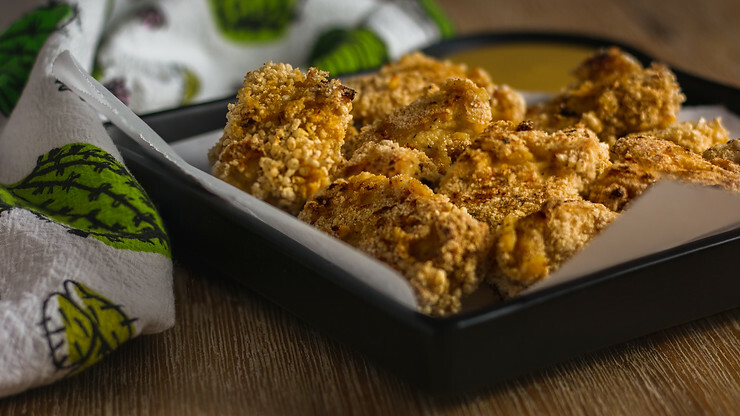 While your chicken is cooking mix up another batch of that honey mustard for dipping!